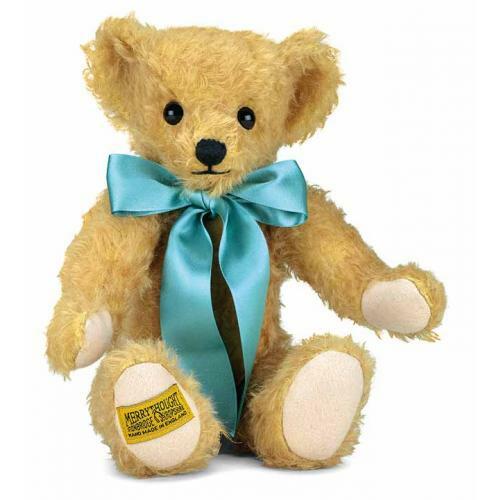 Windsor Teddy Bear is proudly made in England by Merrythought. Windsor is a wonderful character, fully jointed and beautifully made from biscuity-gold-hued vintage style mohair. He has the old fashioned charm of a bear made long ago. 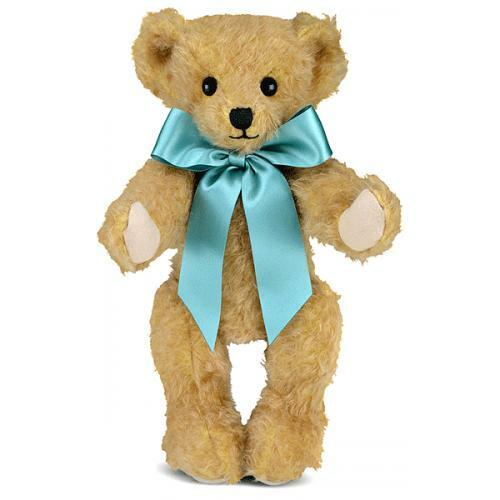 His colours are well matched by a pretty aquamarine satin ribbon. 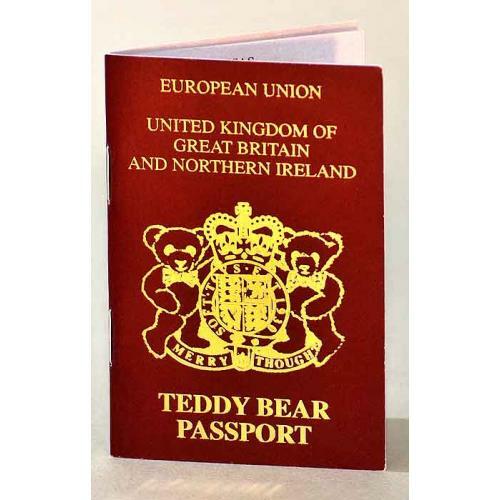 Product details: fully jointed, made in gold mohair with wool felt pads and synthetic and bean filling material, safety eyes, non growler, total size 12 inches.